Still not as good as the first, but still by this point an addicting series. Character wise we get a break from Samael the villain, which I was ready for by this point, especially considering how much brutality we saw from him in the second book. We finally get to see what Piper really is - and I totally dug it. The whole scene and visit with the big reveal was heartwarming and fascinating. I hope its a world we get to revisit again. Romance wise Ash is still the man and still attached in that sweet way. What interruptions they can run into before any action happens though! His sister has turned into an annoyance that has to be endured unfortunately. There is a betrayal and turn from a friend I didn't see coming (in a way) at the very end but that didn't sour my experience - the enemies keep coming. Piper's father is still hard to stomach; I would have turned my back on the man a long time ago. The beginning save of Piper was an epic scene - seriously, Ash and Lyre was awesome. Loved the scene and the bonding of the group, exception being the sister. This is the last book in the series that I truly enjoyed on this close-knit family level. While I dig the bond the group has, Piper's continued angst of not feeling like she is good enough to run with them is a burden and overtakes the story a little too much. Her peace definitely doesn't last since her world is almost literally blown up from the start. From here the plot-line is action filled and tense with betrayals and turns, including the reliance on the dangerous ring that makes Piper the worst force to reckon with, but I feel it loses a little personability. I loved how the characters bond with each other, but that is all taking a backward step now that it's become a full-blown military style battle. Humor, action, romance, and good character writing is still present and in strong force in this second sequel. Piper is becoming annoying but there is a saving grace for me when we discover who she actually is and the doors that may open later. 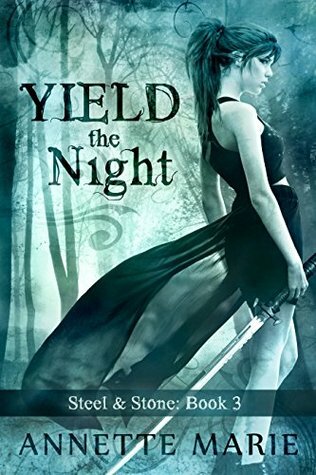 This was my last 4 star rating of the series, because what started plaguing the pages in this one is more prevelant in the fourth and fifth books. Still worth a read, though, from the excellent five star first to the strange fifth.